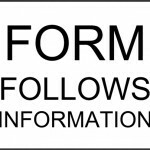 From the Form Follows Information exhibition Press Release. a different light or to perceive the imperceptible. But what is the meaning of the objects made? landscapes for thought and imagination. 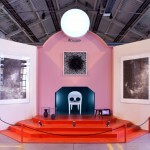 The 9th edition of the Biennale Internationale Design Saint-Etienne, which will be held for one month from the 12th March to the 12th April 2015, questions the importance of forms and the meanings they impart to functions, to uses and the quality of life. What values are transmitted by aesthetics? To what intents and purposes? What do forms say about ways of life, about uses and practices in society? What do they murmur to us about the state of the world? 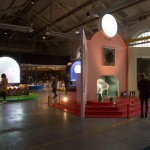 The 2015 Biennale Internationale Design Saint-Etienne will expose objects, services, installations and environments to its different groups of public (designers, enterprises, students, school children and the general public), proposing a sensory experience. The Biennial’s intention is to show that other ways and means are possible compared to the monotonous and repetitive productions of globalization: the aim of the exhibition curators and scenographers is to help its visitors discover and feel what aesthetic expression can offer. 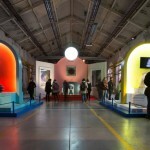 During one month, the 2015 Biennale Internationale Design Saint-Etienne will propose more than 60 exhibitions and events in the Saint-Etienne Metropole, with resonances throughout the region. 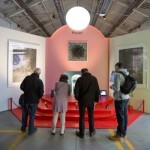 The Biennial is produced by the Cité du design, and supported by the City of Saint-Etienne, the Saint-Etienne Metropole, the Rhône-Alpes region and the Ministry of Culture and Communication.